Originally started at TV Surveillance by Cory Barker in 2010, This Was Television is thrilled to add Test Pilot to our stable of recurring features. 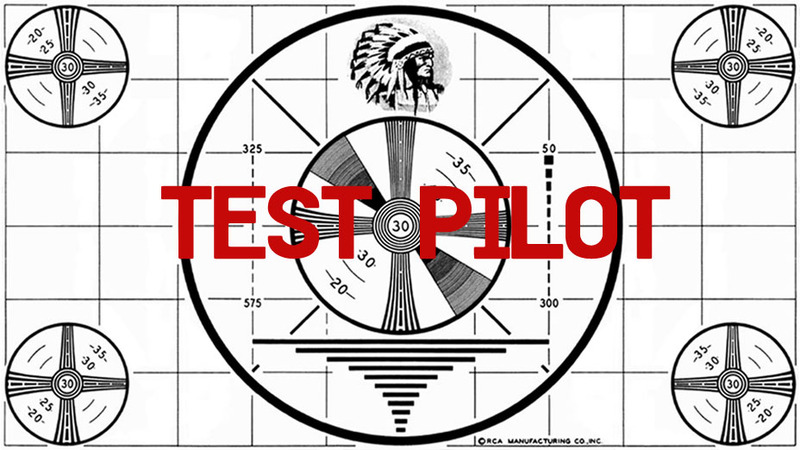 As regular readers of TVS will know, Test Pilot is a feature where Cory is joined by a rotating batch of guest writers to analyze pilot episodes from shows across the gamut of TV history in hopes of discussing their historical, cultural and industrial context. To get a well-rounded opinion, this feature (ideally) includes two perspectives from individuals who have just watched the pilot; one coming from a writer with full knowledge of the series following the pilot develops, the other coming from a writer who is not as familiar with the series. The first batch of Test Pilot files were chosen because of their importance to today’s television landscape. The medium has expanded in a lot of ways over the past 15-20 years, and to get this series of posts going, we are going to tackle four series that are perhaps most important to what we see on television today—and perhaps what we’ll see in the future. For the next batch, it’s time to explore Cory’s favorite genre of television texts, teen dramas! Teen dramas represent an interesting conundrum, as the critical community usually avoids them or derides them, yet there is certainly an audience out there for this kind of series. Despite that schism, there’s no questioning the fact that teen dramas have value in American television. Perhaps more so than any other genre, they exist in a very specific moment that can tell us things about the how, what, when, where and why they came to be and were successful. Teen dramas depict trends of certain times with relative ease and serve as time capsules for their moment. But how do the genre’s capstone series relate to one another? How do they differ? What have been the evolutions in the cycle since the early 1990s? This is our third quartet of series and this go-around, things are a bit different. Instead of discussing the medium’s canon or a very specific genre, we are going to dive into the history of one television network: The National Broadcasting Company, or NBC. Now feels like the perfect time to discuss NBC. The sale to Comcast has been completed, Zucker is finally gone and they have a brand-new, Peacock-less logo. NBC is obviously trying to signify this time as a new, fresh start so it makes sense to look back on this terrible era they’re just moving out of. Over the next four entries, Test Pilot will be analyzing the sports genre. By that we mean scripted programming that heavily features sports, not news or documentary-style programming about sports. In our culture, there are very few things that are more popular than sports and the relationship between sports and television is well-defined in many ways. Televised sport events are some of the most popular and most-watched things on television, across sport and across television network. From the Super Bowl, to the Masters to the World Series to a random collegiate hockey game, there appears to be an audience for live sports in all corners of television. And of course, programming about sports dominates the dial just the same. But despite the overarching dedication to sport and televised sport, fan admiration does not appear to translate to the scripted television realm. Authorship is a really tricky thing and perhaps no more so than in the world of television, and the MTM Enterprises book edited by Jane Feurer introduces an intriguing concept (one that, admittedly, has some small space in Cory’s thesis) of “corporate authorship” wherein a collective (featuring those from both production and business) can produce something of a corporate signature that reflects certain ideals, standards and expectations. In the case of MTM, Feurer argues that the production power of the ’70s and ’80s reflected a signature of quality, not unlike the way HBO and AMC co-opted those ideas of taste and distinction for their respective cable channels years later. These ideas of authorship and quality stuck with Cory and inspired him to dive into the MTM oeuvre for this quartet of Test Pilot files. There isn’t anything particularly “special” about the 1991 Emmys, but the five series making up the Outstanding Drama Series category piqued Cory’s interest. Hopefully taking a look at the kind of programs that the Emmy voters considered “quality” 20 years ago will shine an interesting light on how the industry and the Emmys have changed—and how they haven’t. We return to our network-oriented theme approach with a look at HBO. More specifically, the series that didn’t survive too long, despite HBO’s grand brand equity in the post-Sopranos era. Are these series creative failures? Why didn’t they catch on with audiences? Are those things one in the same? Everyone talks about the HBO successes, let’s mix it up. Cory loves television and watches a lot of it. But sometimes, things fall through the cracks. Included in those things that have fallen through? Most of Joss Whedon’s TV work. We know you all hate him for that, but this is his penance as he goes through the pilots and lets co-writers tell him how much better they think they are than him because they’ve seen every episode of every series. Over the years, there have been tons of series with sizable cult followings and critical love that have only lasted one season (or less). This new theme (one that will likely recur) will explore a half-dozen of these single-season series and discuss what made fans and/or critics love them, as well as what made larger audiences or network executives give up on them. Are there traits that “good” series share that make them ripe for simultaneous cancellation and adoration? Were these series better off being cancelled so soon? The police procedural is one of, if not the, most dominant scripted format in the television industry. We like to think of the “cop show” with very specific terminology and iconography in mind, but countless series have attempted to mix up the general framework of the police drama, and we’re looking at some of the modern police dramas that have done just that. These five series have approached the material differently, added somewhat new elements and focuses and generally made the police procedural feel fresher in their respective ways and eras. Superheroes have dominated the film screen in recent years, but they’ve struggled to catch fire on television in the same way—especially lately. This theme explores television’s take on the superhero, from decades ago to today. Sometimes, pilots blow. The good news is that series can overcome those terrible opening salvos and become good, even great series. In this theme, we explore five series that overcame pretty weak (relatively speaking) pilots. One of the most controversial/important/extended events in our culture has barely been examined on television. Why? We try to answer that question by exploring the few series that did engage with the War on Terror. In the aftermath of Lost‘s initial success, the broadcast networks (especially ABC) tried to capture lightning in a bottle again. They failed miserably. We tackle those failures in this theme.